It seems that everyone is talking about blogging and you’re thinking that it might be time to start a blog for your small business. But you’re not really sure if it’s the right internet marketing strategy for you. Adding a new task to that ever growing to-do list is always something to think about carefully as a busy entrepreneur. You need to be sure that it’s what your business needs. If your small business relies on search engine traffic to get new customers, you absolutely need to get on the blogging bandwagon, if you aren’t already. A blog is a gold mine of SEO friendly goodies. Not only can you create content that’s keyword rich, but blog posts give you lots of additional areas to reinforce your key terms. Categories, tags, descriptions… all these blog bits give you extra fuel for your search engine fire. Search engines also highly value websites that have refreshing, updating content. Blog posts give you just that. Blog posts don’t just have to stay on your blog. You can use your posts as content for your email marketing campaigns and e-newsletters. That sure makes your email strategy alot easier! If you need an email marketing provider, I highly recommend Aweber (yup, this is an affiliate link, but I use them and love them. I only recommend what I stand behind). Good customer service is all about good communications. A blog, with its comments section, offers a perfect avenue for reaching out to your customers, and giving them the opportunity to reach right back. Just make sure that you are responding to your blog comments! A blog also gives you the perfect opportunity to answer some common customer questions. It’s a great way to educate, and you can always email out a link to the post when you inevitably get that same question again. 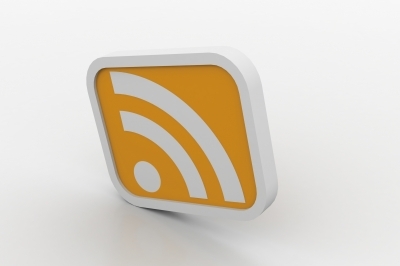 Your blog is a terrific place to share updates and news about your small business. No need to wait on your web master or web designer to get new information on your site. With your own blog, you can do it yourself quickly and easily. Share your blog content to maximize exposure and boost your brand. Blogs posts that are interesting and offer valuable information are perfect to use for your social media accounts. Twitter, Facebook, LinkedIn… a blog gives you stuff to say and share. Don’t forget to include social media share buttons on all your blog posts, so that your readers can help you out by sharing your content. 3 cheers for small biz blogging! If I’ve convinced you, but you don’t have a clue what to blog about, check out this post for some small business blogging ideas. Do you blog for your small business? How has it helped you? Feel free to share links to your own small business blogs – your examples will help other readers and give you a lovely link back to your website (and hopefully some traffic!). But otherwise, you’re pretty much spot on – a blog can be a wonderful way to communicate to your customers and potentials about you and is a great means to engage them if done correctly and well. In a nutshell, commenting on blogs may or may not give you link juice depending on the blog, but you’re definitely gaining exposure for yourself or your business, and you can potentially get some traffic back to your website. Great post, I also love the model of putting 90% of your effort into your blog (which is helping build your online presence – SEO etc) and put 10% in your newsletter (which doesn’t build your presence online) by starting with stories from your blog and then adding in the news bits on top. Thanks Dan! Yes, I think that alot of people shy away from email marketing because they are overwhelmed by producing original content. But I really think that having strictly email only content is not necessary. Using blog posts as the foundation of your newsletter is a great place to get started, and it definitely makes things easier. That’s awesome. I struggle every month with my newsletter, wanting to include new, interesting info (sometimes even being late on my newsletter because of not wanting to tackle the content) and it never occurred to me that it would be better to write up blog entries (which I really don’t do enough now and is actually more important, I see now) and including that in my newsletter. Thank you!!! This is an issue that all of us struggle with Deb! I know that it took me a while to find that voice. Just keep on practicing and you will get it. Perhaps give your next post a small dose of your sarcasm. See how that feels. I personally found that when I found my voice, it felt good and fun. Writing became less of a chore. And your audience will pick up on the enthusiasm. I’ve struggle with my blog as in what to write only because I do not get any feedback from anyone. So I took a step up out of the box and started writing about what I think would help others. It worked and now I’ve found my groove. Again great post Martina! I somehow feel very connected with you on many things. Even though I haven’t met you. Good for you Alison! It does take time to figure out what works and what doesn’t in blogging. But I know that you’re not afraid of trying new things, which is great 🙂 Really appreciate all your feedback and support. It’s been a pleasure connecting with you and having you as a part of the community here!! One thing I would add is that just having a blog isn’t enough anymore. There’s so much content on the web it’s important that your blog stand out. At http://ContentSpree.com we’ve been advising clients to be different and controversial. By doing this many have seen a huge jump in traffic to their blogs. That’s a great tip Andrew! Don’t be afraid to do something a little different on your blog. It could just help your post break through all the online clutter and get noticed. Thanks for the comment!